Welcome in Dylan café and guest house ! 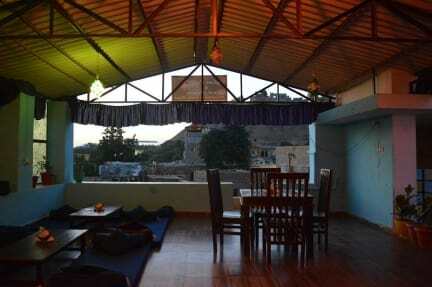 A big and fun hostel offering budget accommodation to backpackers and international students, an easy 7 min walk from Jaisalmer fort and main tourist attraction. We offer more than just a bed: Have a drink & make new friends in our Roof Top Restaurant, play Cards or chill out in our Roof , exchange experiences with fellow travellers. Get to know the city... our Use-it information desk provides local low budget city info, free maps, bike rental,Non touristic camel safari,jeep safari and more. Very friendly staff who are always ready to help or go the extra mile for you! They helped us book a camel tour and were always ready to answer our questions! If we ever come back we will definitely stay here! We arrived early but the staff still tried to give us the room as soon as possible. The room was big and clean! The staff at the hotel are super kind and caring! We ended up booking their camel safari activity which was great! Also the restaurant at the hotel - Fotiya- is very good! You can eat here all sorts of authentic India food, Korean and others !! We would love to be back! Absolutely LOVED our stay at Dylan Guesthouse! The room was very spacious, clean and cosy; definitely our favourite room so far. Not to mention value for money!! The staff were wonderful, extremely welcoming and friendly, they all made our stay more than comfortable. A special mention to Ali for going above and beyond to ensure we had a great stay, this man is one of the kindest people we have met whilst travelling India! He is a genuinely good man with a heart of gold. Highly recommend!!!!! My boyfriend and I booked a private room and it was perfect! The bed was extremely comfortable, duvet was thick and pillows were plumped. Walking distance from everything you’d want to visit. Extremely friendly staff who are multilingual. Good WiFi in the room. Incredible for the price. We also booked a one night desert camping trip. Ali and two other guys came with us and made it a really fun experience (we chose not to ride the camels but that is part of the trip). Stay here. You’ll be happy. Staff and vibe of this hotel are brilliant. Ali, who manages the hotel is a nice guy. He will help you in all his capacity. Terrace cafe is also nice. Overall a good stay. Fantastic experience here. Dylan was a great host and very helpful, gave me a nice room to myself and booked the safari through him which was an unforgettable experience. Amazing considering how cheap it was! Staff are very lovely and so so helpful! Food was good as well and reasonably priced. 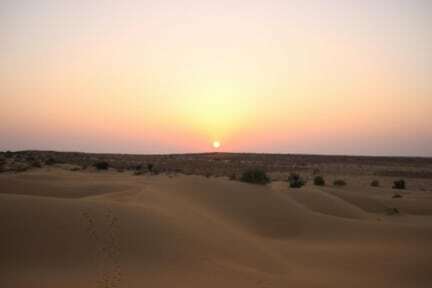 Would recommend to someone travelling to Jaisalmer on a budget.